Of course Carmen Farina wants parents of students who have Individualized Education Plans and/or are new immigrants to opt out of tests!!! She assumes that these groups of kids would not do well on the tests, and she wants all schools to look good (scrubbing of grades is happening throughout NYC). BROOKLYN — Schools Chancellor Carmen Fariña said it's OK for some parents to opt out of statewide tests in English and Math, which runs counter to her public stance against the growing opt-out movement, DNAinfo New York has learned. Her comments were made at an invite-only meeting Thursday night with parents who are part of the opt-out movement in Brooklyn's District 15. “I think there is a place and a time to opt out,” Fariña told the parents from the district that includes Carroll Gardens, Park Slope and Sunset Park where she was once superintendent. She provided two instances where, she said, “I certainly as a parent would opt out,” according to a transcript posted on Facebook of the meeting held at the Park Slope office of City Councilman Brad Lander. One was for children with special needs who have mandated services through an Individualized Education Plan (IEP). The other was for newly arrived immigrants. 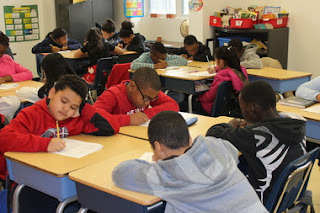 Just 4.4 percent of students who were English Language Learners were deemed proficient in English and 14.6 percent were proficient in math,based on last year’s scores. Nearly 7 percent of students with special needs were proficient in English and 11.3 percent were proficient in math. “A special ed parent, with a child with an IEP who has a very low frustration level, who no matter how much you’re going to do is never [going to] get to a certain level on this kind of test,” she said. “That’s not to say that they’re not going to have success in life and so forth but to sit through a test with maybe a level 1 or 2 reader … I think it is a little bit, you know, too much. Fariña also said that she’s been fighting the state to eliminate the entireNew York State English as a Second Language Achievement Test, which is designed to assess the English language proficiency of all English Language Learners each year enrolled in grades K – 12. Her words diverge from her previous statements as well as some recent actions of principals. 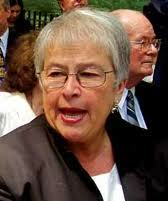 In August, when announcing the results of last year's state tests, Fariña said, "I don't believe in opt out. I believe that everyone needs to be assessed." And last week a Williamsburg principal recently confiscated “refusing the test” forms a fifth grader was handing out to classmates and held an impromptu lecture telling students they couldn’t talk about opting out, parents said. Since then, however, the tide has shifted with the recent election of Betty Rosa as chancellor of the state’s Board of Regents. “If I was a parent and I was not on the Board of Regents, I would opt out at this time,” Rosa recently said, according to Chalkbeat. As head of the Board of Regents, Rosa now oversees the State Education Department, which administers the tests. City Department of Education spokeswoman Devora Kaye said that Farina has met with parents to listen, answer questions, discuss concerns and educate community members about the changes that have been made to the state tests. She is discussing how the changes "are beneficial for students, parents, teachers and administrators,” Kaye said. Many parents and teachers, however, have pointed out that the tests have been reduced by roughly two questions, and though the tests will now be untimed, the time spent taking them is unlikely to decrease. Third graders, for instance, are still expected to spend seven hours taking the tests. Lander said he "thought Chancellor Farina did a great job explaining her point-of-view, discussing the changes that have been made to the State tests, and listening to the views of those in the room." He said the parents "effectively expressed their strong opinions, and we are lucky to have such engaged parent leaders in our neighborhood schools. I give the Chancellor a lot of credit for coming out to share her views, and to listen."